・ The new platform will offer a single unified design concept for all Subaru models. Planning the main specifications of all vehicle types at one time and flexibly adjusting these basic specifications to match with the requirements of different models will strengthen the entire Subaru lineup while still allowing the Company to develop models that take advantage of each model’s strengths. 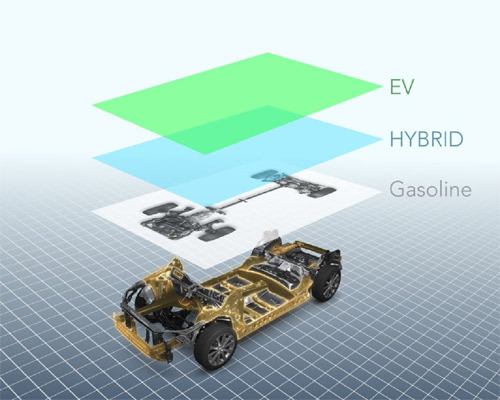 ・ The new concept allows one design concept to be adapted not only to gasoline engines but also to hybrid vehicles, plug-in hybrids, electric cars, and other types of alternative power units for which demand will increase further. ・ Development based on a single design concept makes it possible to use limited development personnel and facilities efficiently to develop a diverse range of models and to direct the resulting savings into areas that can make our products more competitive. ・ It will also become possible to produce platform components for multiple models in the same one production facility, rather than manufacturing them in different factories as has been the case in the past. This will increase production efficiency at Subaru’s factories and at our partner companies. 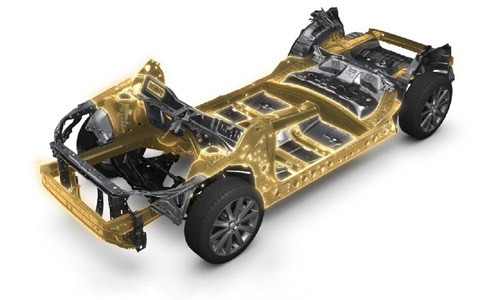 The new unified design concept will also make it easier for our two factories in Japan and the Subaru of Indiana Automotive plant in the United States to carry out bridge production of multiple different models on a single line, making our global production system more flexible.